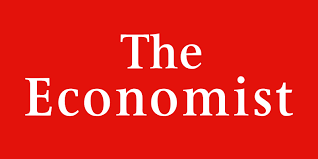 Founded 174 years ago, Britain's The Economist is one of the most widely read periodicals in the world, and certainly one of the most respected. Its editorial board claims to have "backed conservatives such as Ronald Reagan and Margaret Thatcher, but has also endorsed Harold Wilson and Bill Clinton, and espoused a variety of liberal causes." As for immigration, the staff of the magazine frequently supports mass migration and open-borders. Within the past three weeks they have published articles titled "How to convince skeptics of the value of immigration?" and "Why America needs more immigrants." That's why I was curious to see the results of their recent online debate over the question "Should people be free to choose the country in which they live?" Given the public stance of The Economist (and by extension, its likely readers) I was surprised to see that 71 percent of participants voted "no" to the aforementioned question, rejecting the claim that any person should be free to relocate to any country with no restrictions. The number of votes cast totaled more than 13,000 at the time of this writing. The debaters were Jackie Stevens of Northwestern University (arguing "yes") and David Goodhart of Policy Exchange (arguing "no"). The debate itself was refreshingly different from the current dialogue raging here in the United States and largely focused on the principle of migration itself, rather than any one specific policy such as DACA or the recent no-tolerance enforcement strategy of the Trump administration. Stevens set the tone early by arguing from within the Liberal tradition of John Locke and Immanuel Kant, and then offering an argument against the conception of the modern nation itself. In her opening statement, she says that "only groups to which people experience themselves as belonging by birth, or religion, are able to mobilize people to risk their lives and kill others by the thousands. The nation is a legal community whose existence necessarily entails war, and thus paradoxically creates the very mayhem that produces war's refugees and fuels in turn nativist backlashes." I suspect that she is a fan of Benedict Anderson, who proposed such a hypothesis in his seminal work on nationalism, Imagined Communities. She says as much in her rebuttal, declaring that "in the fantasy world, we create 'nations' and imagine ourselves as ongoing parts of them." In contrast, Goodhart (author of last year's The Road to Somewhere: The Populist Revolt and the Future of Politics) argues that "in the actual world with its enormous, though narrowing, gulfs in wealth and quality of life we know from opinion polls and recent events that many hundreds of millions of people would move from poor countries to rich ones if they could. ... We in the rich world should acknowledge obligations to the poor, but the main one is to help them get as rich as us rather than invite them to live next door." Goodhart sharpens the difference between Stevens and himself by asserting that "societies are not random collections of individuals. They are real, living things with languages, histories, ways of life ... along with most conservative and socialist thinkers, and the vast majority of ordinary citizens, I see society as pre-given and humans as social or group-based creatures." Goodhart addresses a few real concerns, such as the general dislike of rapid social and demographic change as well as the problems with brain drain — posing the question "if born into a world in which you know you can leave, why bother to try to make your own society better?" In his closing remarks, Goodhart suggests that rich countries should provide "some right to protection and refuge" as well as "some continuing flows of newcomers" before clarifying that such inflows should function more like temporarily placed international students rather than permanent immigrants — an interesting policy suggestion. Following the eight-day debate, it was clear that an overwhelming majority of The Economist's readers supported Goodhart's reasoning against the erasing of national boundaries. The debate was well-timed given the course of recent events within the United States, and I believe that Goodhart articulates a sober and effective argument for restricting migration flows in the general sense.